At Natividad Foundation, each gift tells a story. Women, men, children and families receive access to health care services regardless of their ability to pay. Our public-​private partnerships help develop innovative and effective programs like Indigenous Interpreting+®, provide specialized medical technology, enhance the county’s state-​of-​the-​art Level II Trauma Center and support its award-​winning Acute Rehabilitation Center. The donation provides funding for Natividad’s equipment needed to compound chemotherapy medications and for building out space to provide outpatient infusion therapies for patients with cancer and chronic illness. Babies Get a Chance for a Healthy Start. You Get a Chance to Win a Car. 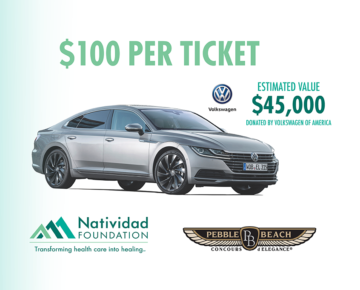 Natividad Foundation is thrilled to be chosen as a participating charity in this year’s Pebble Beach Concours d’Elegance® Charity Drawing! You could have a chance to win a 2019 Volkswagen Arteon SEL Premium R-​Line. Volkswagen of America donated the new model luxury car, valued at $45,000. 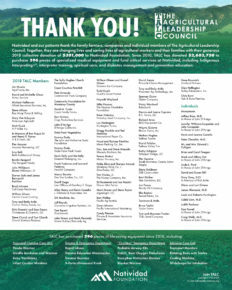 Natividad and our patients thank the family farmers, companies and individual members of The Agricultural Leadership Council (TALC). Together, they are changing lives and saving lives of agricultural workers and their families with their generous 2018 collective donation of $301,000 to Natividad Foundation. Natividad Medical Center has announced a new name. The hospital is now known simply as Natividad. 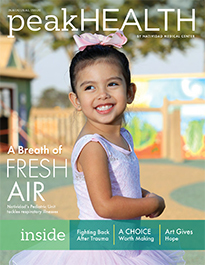 A new tagline, “Inspiring healthy lives,” communicates Natividad as a health care partner with purpose and impact beyond inpatient care. The subtle change in name reflects the central and expanding role Natividad, a public hospital serving the community for over 132 years, plays as a resource for advancing full and healthy lives. Natividad Medical Foundation also changed its name to Natividad Foundation and updated our logo, a move that brings the Foundation in alignment with the hospital’s new name and brand. We’re always available to answer questions or provide media with information about us and our important programs that transform health care into healing. Please email Hillary Fish or call 831-​755-​4187.